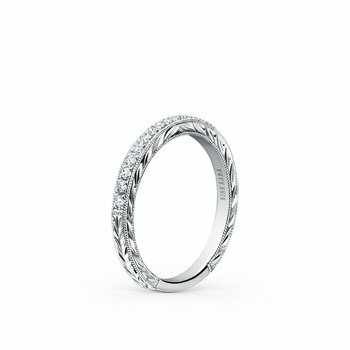 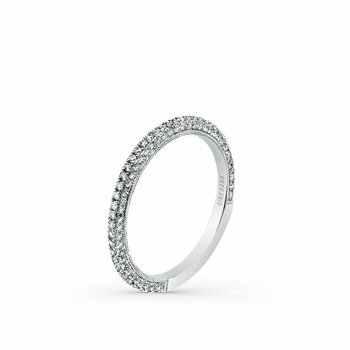 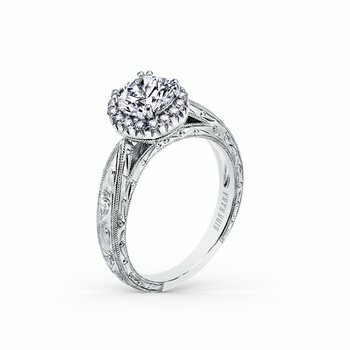 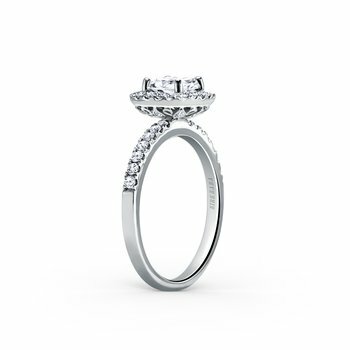 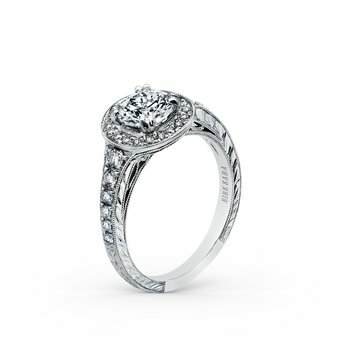 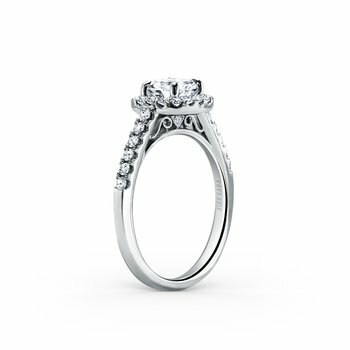 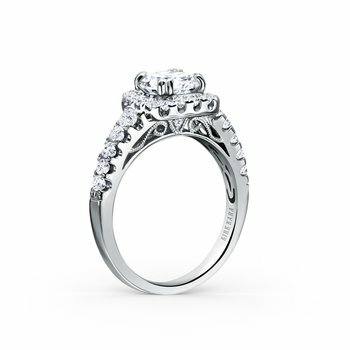 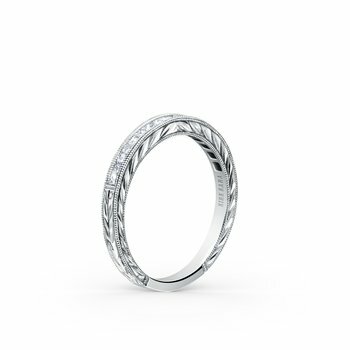 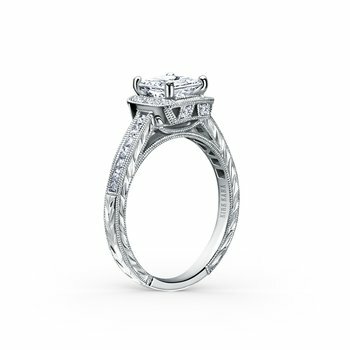 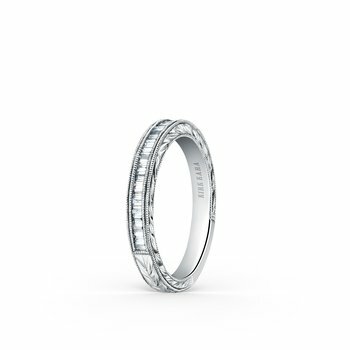 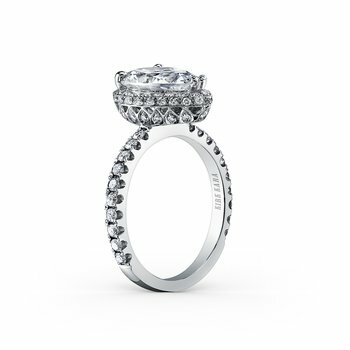 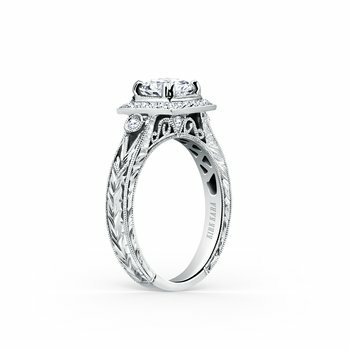 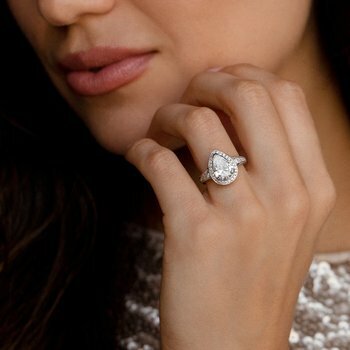 This timeless classic is a ladies' band from the Carmella collection. 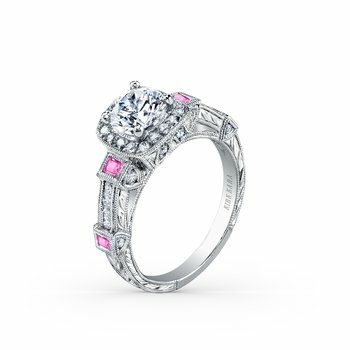 It features 1/10 ctw of diamonds and 10 round pink sapphires. 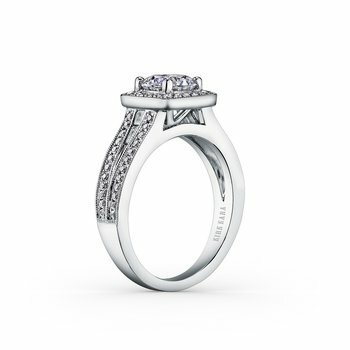 The signature handcrafted details include wheat hand engravings and milgrain edging.